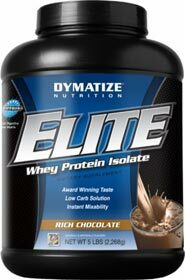 Elite whey protein isolate made by Dymatize is a blend of whey protein concentrate, ion-exchange whey protein isolate, and whey peptides. It comes in 5lb tubs that contain 79 servings, and 2lb tubs that contain 30 servings. The whey protein in Elite Whey is enzymatically predigested, which offers better absorption, and improved bioavailabitly. While the label never tells you what portion of the whey content is concentrate and isolate, but it's always a safe bet to say that majority of it will be whey concentrate, with some whey isolates mixed in. Whey protein isolate is more expensive than concentrate - because it's of higher quality, and have a higher biological value (BV). Whey protein isolate contains more protein with less fat and lactose per serving. However, it's also more expensive. While the name suggests that this might be a pure whey isolate powder, that is actually not the case. It contains whey isolates, but it also includes whey protein concentrate as well. The one thing I really like about Dymatize is that they produce top quality products at fantastic prices. Most, if not all of their products are comparable and cheaper compared to Optimum Nutrition supplements, and their Elite Whey Isolate is no different. It's very comparable to ON's 100% Whey in terms of product quality, taste, and it also costs less as well. So exactly what is ion exchange whey protein? Ionic exchange processing involves separating proteins based on their electrical charge. 2 chemical are used to achieve this: hydrochloric acid and sodium hydroxide. The electrical charge on the proteins attaches them to the resins in the reaction vessel. One benefit of ion exchange processing is that the end product has less fat and lactose compared to ultrafiltered proteins, and this is a heavily marketed ploy to get consumers like you and I to buy these, despite the disadvantages of this process as stated above. Other Ingredients: Cross Flow Ultra Filtration Whey Protein Concentrate (providing di-peptides, tri-peptides, oligo-peptides, and poly-peptides), ion-exchange whey protein isolate, whey peptides, natural and artificial flavors, Acesulfame-potassium. 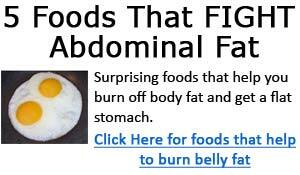 * Percent Daily Values are based on 2,000 calories diet. ** No Fructose or Sucralose added to this product. Compared to any standard whey protein supplement on the market, Elite whey is not much different. A 5lb container has 79 servings, and each serving has a pretty standard 22g of protein per serving with low amounts of carbohydrates and sugars. Price wise, Dymatize Elite whey is also comparable to similar whey protein products such as Optimum 100% Whey, or EAS 100% Whey. However, by our calculations, it falls just slightly short of these two protein powders when it comes to cost efficiency. See our whey protein comparison guide here. It placed in the middle of the pack of the 11 different whey protein powders we compared. In total, Elite Whey comes in about 10 different flavors including chocolate, vanilla, banana, berry, toffee, mocha, chocolate mint, green apple, orange, and pina colada. Obviously, I haven't tried all of them - so far, I've only tried the berry flavor, orange flavor, and chocolate flavor. All 3 tastes great, and mixes easily, without any clumping at all. I especially like the berry and orange flavors - both taste very fruit, and I really enjoy their taste. I thought it tasted quite natural, and light, and it also had a pleasant fruity scent to it as well.